Dulcimettes are small dulcimers that I designed back in 1975 as instruments suitable for backpacking, ensembles, carseat playing and children. They have a delightful mandolin-like sound that really carries and are owned and played by a number of top players. They are about 24" long, 5" wide, and 1 1/2" deep, with a 1 1/4" wide fretboard. They have 3, 4, or 6 strings, 13 frets, Gotoh guitar machines, and are built with the same woods and care as my full size instruments - they aren't toys, in other words. 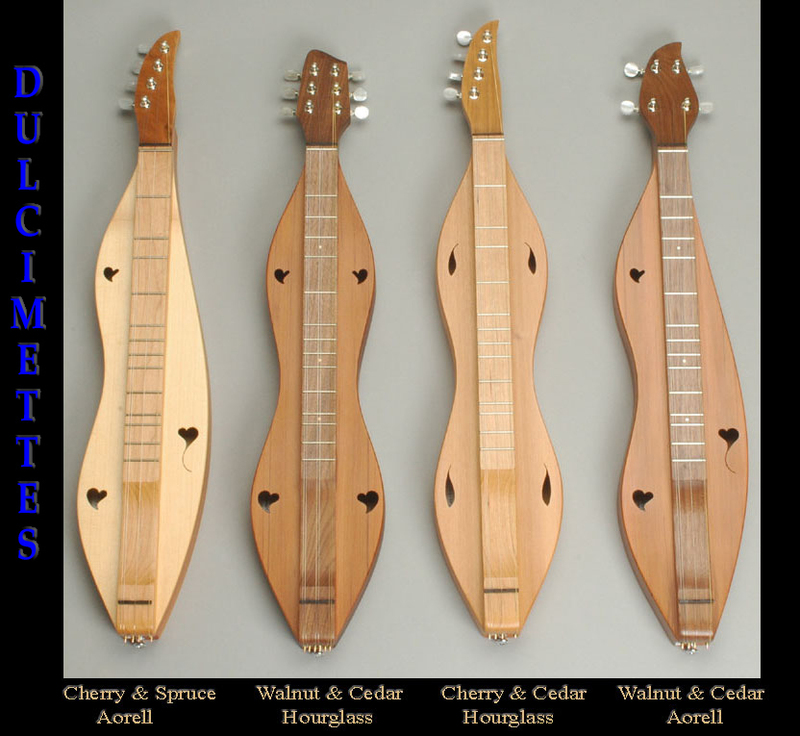 I set up my dulcimettes for D-A-D' tuning an octave above a standard dulcimer, unless otherwise specified (DAA' for example).